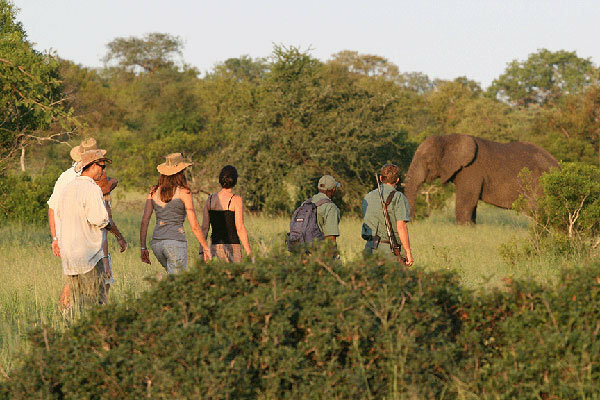 The ultimate safari experience has got to be discovering nature on a walking trail. 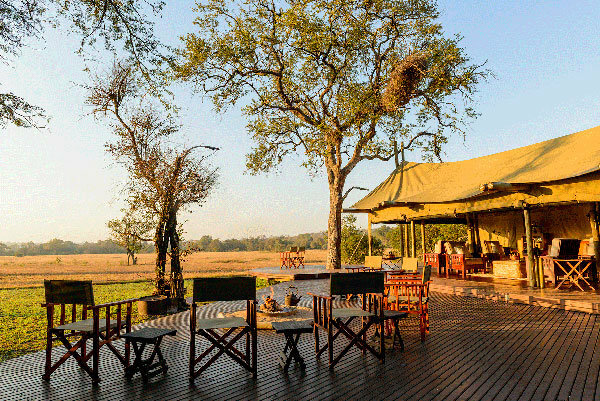 Plains Camp, on the only officially declared wilderness concession in the Kruger National Park was established specifically to provide this unique and exciting experience. Plains Camp’s focus is on exploring the 12 000 hectares of unspoilt reserve allocated for our exclusive use on foot, with short game drives to finish off afternoon walks. Our trails’ guides are highly qualified and experienced conservationists. This respect is reflected in the camp itself, a shady tented haven which nestles under a thicket of knobthorn trees, overlooking the Timbetene Plain and waterhole. The décor is reminiscent of a bygone era of luxury, with authentic antiques and the finest white linens. With only four en-suite tents, the ambience and service is personal and intimate. For the adventurous, a walk to the Sleepout Decks can be booked, where the night is spent under the stars listening to the night sounds so far removed from civilisation. Rhino Post can be reached by normal 2 x 4 vehicles. Guests staying at Plains Camp will be transferred from Rhino Post in an open 4x4 game drive vehicle. This takes approximately 30 minutes. Check-in is from 13h00. If staying at Plains Camp, guests must ensure that they arrive at Rhino Post Safari Lodge by 13h00 latest to transfer over in time for the afternoon activity. The most direct gate to enter is the Paul Kruger Gate, however depending on where you are coming from, there other gates to choose from. Please advise reservations which gate guests will enter to avoid additional park fees being charged. Maps, drive times and gate closing times are available on request. Morning walk and afternoon walk/game drive. Transfer from Rhino Post Safari Lodge to Plains Camp.